Charanga Carolina practices for the Spectrum Concert celebrating the UNC Music Department’s 100th anniversary (Annabeth Poe/Carolina Connection). 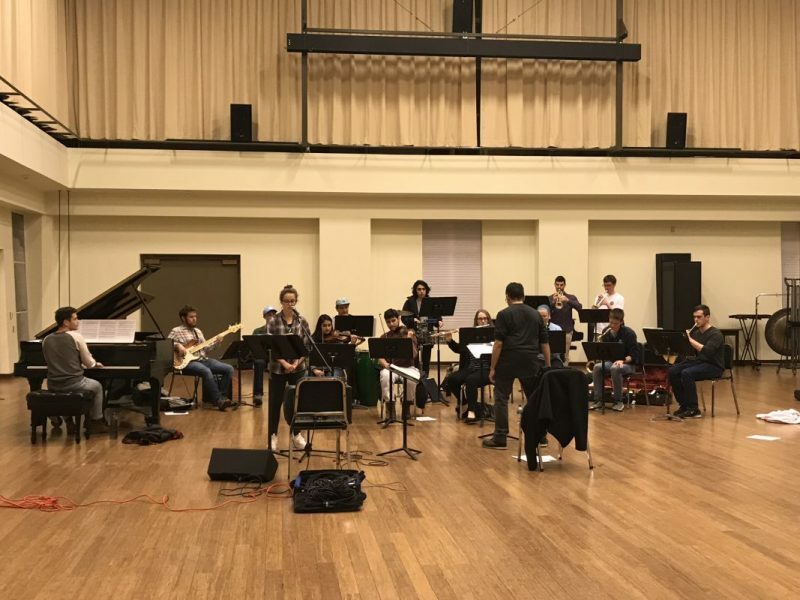 Tonight, Hill Hall on UNC’s campus will be filled with the sounds of diverse musical performances as part of the UNC music department’s 100th anniversary. Ensembles that represent many different cultures and styles will perform the full spectrum of music that the department offers.